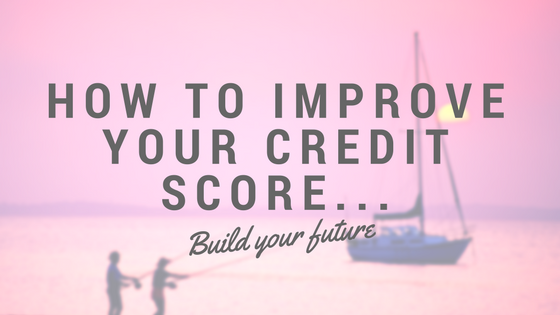 Today's topic is all about credit scores! My dad has always taught me even from a young age the concept behind credit scores and why it is so important for adults to have a good credit score as well as be able to maintain it for the future. I will be discussing the importance and give you guys some tips on how to build your credit score and how to successfully maintain it. To begin with, let's talk about the importance of credit scores. A credit score is ranged from 0-999. There are different categories in that range such as very poor, poor, fair, good and excellent. The score helps lenders such as banks and finance companies decide if they are able to lend you any money because the score shows how well you are as an individual who is able to manage expenses and income. Ways to improve your credit score? Do not open too many accounts as whenever you apply for a current account with an overdraft facility or credit card, it checks your credit score. Every time your credit is searched it will decrease it. Most people who have never borrowed any money may get rejected from even purchasing a mobile phone contract...I certainly was! At the age of 18, I had no credit score or a very poor one as I had never borrowed any money, therefore, I never proved to them that I could manage my payments well. Take out a credit card such as Barclaycard, Natwest credit card, Halifax Credit Card, MBNA credit card...etc. These companies offer credit cards to people who may not have a good credit score to help build it up. I personally used Natwest and took out a credit card with them with relatively low-interest rates. I paid off my full balance each month for the first 6 months as I made sure I only spent what I could afford to pay back. This resulted in my credit score increased significantly. I do not recommend any credit cards which are offered by other lenders except for the ones mentioned above. This is due to the high-interest rates. If you can't get a credit card, see if you can get yourself a cheap mobile phone contract - you basically need to prove you can manage your payments and pay everything on time. Make sure to add yourself to the electoral roll as soon as you are 18! If you have a few credit cards to pay off, and you also qualify for a loan then calculate and see if it's worth taking out the loan to pay off your credit cards at a much cheaper interest rate? I know I just mentioned cash back but stay away from all the advertising such as earn 1% cash back on spending a certain amount each month...This is not worth it because if you can't pay off that certain amount, earning 1% cash back and paying 14.9% interest is not wise. Just be sure guys you do build your credit score as early as possible as you do not want to be in a position where you are not able to get something as big as a mortgage or even a mobile phone contract. Now let me hear from you guys! What are your tips and how are you managing your financial situations?